In 1931, Dr. Otto Heinrich Warburg won the Nobel Prize in Medicine for his discovery that suboptimal oxygenation of tissues and cells is the underlying cause of cancer. Translation? Give your body oxygen! Yogis discovered thousands of years ago that the quality of one's breath has a direct and profound influence on the quality of one's life. Pranayama, therefore, is one of the best things you can do to keep your body filled with oxygen (and prana!). In addition, evidence is building to support the claim that you can prevent many cancers by changing lifestyle habits like smoking, drinking, and high fat intake. However, knowing this doesn't help the person already afflicted with cancer, and may even make you feel worse. If you have cancer, don't blame yourself or waste time thinking about what you might have done differently. Instead, focus on your future and getting well. Many cancers are curable, and even advanced cancers have been cured. Several studies have shown that cancer survivors tend to take charge of their illness by learning all they can about it (svadhyaya—see Chapter 6, "Walking Yoga's Eightfold Path") and by having a positive attitude. Believe in yourself, the healing power of your body, and the healing power of your treatment regimen. Cultivate your own spirituality. Meditate, fill your lungs and body with prana through breathing exercises, and practice your Hatha Yoga routine slowly, steadily, and consistently to improve your circulation and overall strength. It is also important to eat a diet consisting of pure, whole foods. 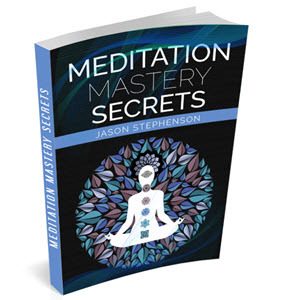 Bring meditation into your life. 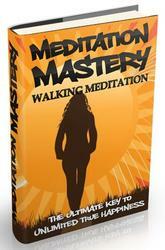 Meditation removes obstacles and illusions (see Chapter 4, "Yoga Mind Power: Go with the Flow").